On July 26, 1990, our nation committed itself to eliminating discrimination against people with disabilities. 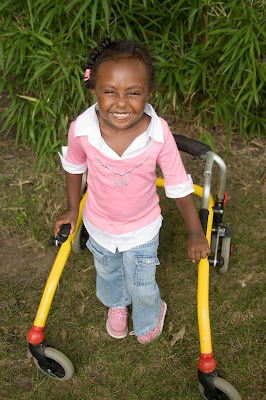 The American Disabilities Act (ADA) celebrates 25 years since the passage of this historic mandate. To honor the ADA and raise awareness of barriers still faced by individuals with disabilities, the Robert R. McCormick Foundation, in partnership with WTTW/Channel 11, is hosting a McCormick Community Screening at the Chicago History Museum (CHM) featuring the film My Way to Olympia on November 16. 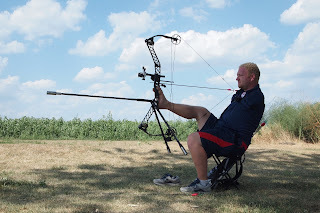 This award-wining documentary, directed and produced by Niko von Glasow’s, a disabled filmmaker, follows a group of disabled athletes preparing for London's Paralympics competition. Born with severely shortened arms, von Glasow serves as an endearing guide to London’s Paralympics competition. As he meets a one-handed Norwegian table tennis player, the Rwandan sitting volleyball team, an American archer without arms and a Greek paraplegic boccia player, his own stereotypes about disability and sports get delightfully punctured. The screening will conclude with a provocative discussion with Paralympic athlete, Linda Mastandre. Linda represented the United States in two Paralympic Games, three World Championships, the Pan American Games and the Stoke-Mandevill Wheelchair Games winning 15 gold and 5 silver medals in wheelchair track. The Chicago History Museum acts as the perfect backdrop for this program. Since June, CHM has been hosting an exhibition, Access for All, featuring images by renowned disability rights photographer Tom Olin. The nineteen framed prints, on loan from the permanent art collection at Access Living, depict the activists who brought about the landmark Americans with Disabilities Act in July 1990. To reserve a seat click here. Have you used the Chicago 311 Call Center recently? In January 1999, Chicago implemented the 311 system to enhance access to all city services and to decrease 911 calls for non-emergency police services. The system centralized satellite call centers so that citizens did not have call several different departments to reach the services that they need. 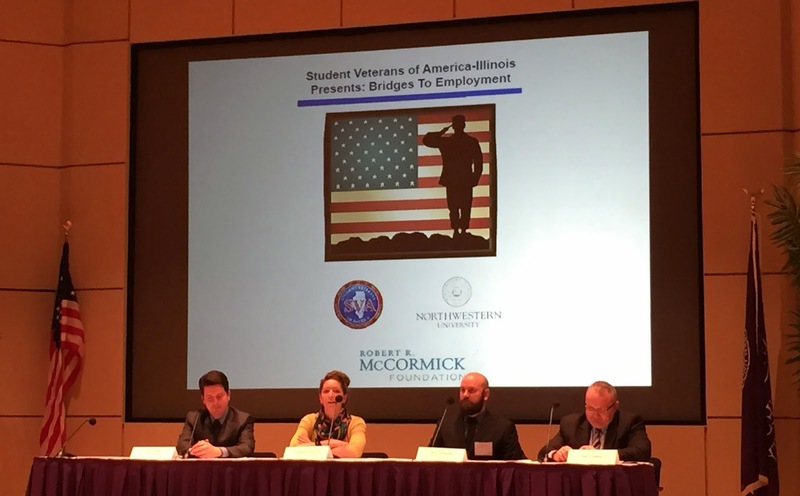 Fast forward to 2015, after a series of meetings with staff from the Mayor’s Office, the Advisory Council on Veterans Affairs for the City of Chicago welcomed the news that the city would enhance the 311 intake assessment to better identify military veterans and active duty service members so they could be directed to specific resources and services. 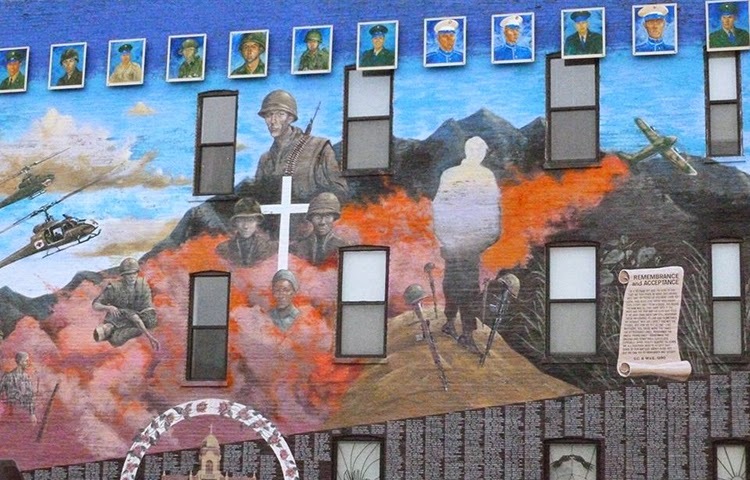 On June 24, 2015 Mayor Emanuel’s office announced that residents who call 311 to request a range of services, including homeless prevention, employment services, senior well-being checks, emergency food, and crisis referral services, will be asked by a 311 operator if they are a veteran or active duty service member. This simple question allows the city to more effectively target and allocate resources to support veterans and active duty services members in Chicago. Click here to read more about this important initiative. It's no secret to speech/language and hearing professionals that children's early language environments are critical to their speech, language, and academic outcomes. However, it wasn't until 1995 when Betty Hart and Todd Risley released a groundbreaking study that spotlighted the extreme disparities of language development among high-income and low-income families. The study revealed that by their fourth birthday, children from high-income families heard over 30 million more words than children from families on welfare. This “30 million word gap” is simply a metaphor, relating not just to quantity of words but to quality, as well. Hart and Risley’s research found that children who heard less words also heard harsher, more prohibitive speech, less complex vocabulary, and less conversational give-and-take. Their follow-up studies showed that this difference in early language environment impacted vocabulary development and ultimately, I.Q and test scores in 3rd grade. Dr. Suskind's new book translates the science of early brain development in an accessible way to help reinforce the importance of early language input and to illustrate that "parent talk" is the most powerful tool for building a child's brain, beginning at birth, and sending them to school ready to learn. Additionally, the book highlights the policy implications that suggest a greater focus on early childhood development is critical in narrowing the achievement gap. Residents are the most important assets to any community. Yet many communities face challenges, such as high poverty, unemployment, failing schools and housing instability that directly impact their residents and deter growth. 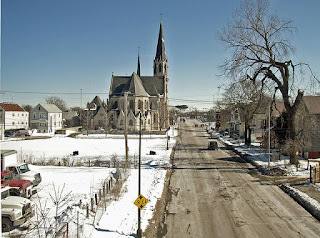 Englewood in Chicago is one such community. For decades, community residents, nonprofits and government-funded programs have worked tirelessly to reverse a declining population and job base, underperforming schools and high crime. In June, key community players, including community residents, Teamwork Englewood, Local Initiatives Support Corporation of Chicago (LISC-Chicago) and the Robert R. McCormick Foundation, came together to begin discussing such challenges faced by the community. On the agenda, was updating a comprehensive community revitalization blueprint called the Quality of Life Plan, originally crafted in 2005, that has acted as a framework for building, sustaining and operationalizing community structures. Through the Quality of Life process, TeamWork Englewood’s charge is to bring residents and key stakeholders together to create a new plan for the community. LISC-Chicago has begun this same process within three other Chicago communities including, Auburn Gresham, Belmont Cragin and Chicago Lawn. Over the course of the next several months, the cohorts of the four communities, including Englewood, will work together and independently to plan and develop a 5-10 year Quality of Life Plan with and for their respective communities. During that time, the McCormick Foundation will provide updates on the Englewood Community’s progress on this first step towards the development and implementation of a Quality of Life Plan to guide newly identified community strategies and projects. Young people participate in our democracy when they have the capacity, connections, and commitments to follow through. School-based civic learning is a critical contributor to this equation, and Illinois Governor Rauner’s recent signing if landmark civic education legislation is reason to celebrate. Also critical to youth civic development are real-world opportunities to contribute to democratic rituals like elections. The Chicago Lawyers’ Committee for Civil Rights Under Law connected the two in their “Student Leaders in Elections” program that spanned three elections over the past two years. They collected more than 3,500 applications to serve as election judges from college students throughout the Chicagoland region. Nearly half of them served as judges in at least one election, and more than too worked two or more elections. 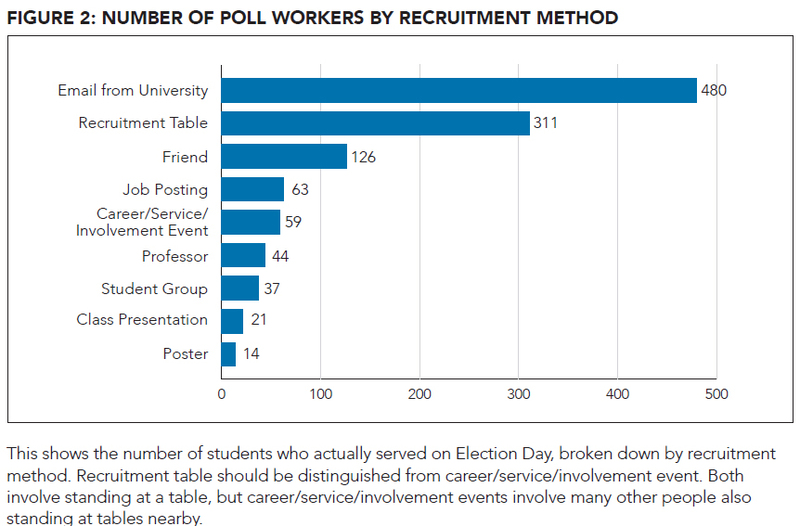 Email was actually the most effective recruitment method contrary to the face-to-face tactics most successful in other forms of civic and political engagement. Bilingual students were among the most highly engaged and committed election judges. Many felt a special obligation to bring fellow citizens with limited English proficiency into the political process. Community college students also showed greater commitment than their four-year college peers. College election judges make the administration of elections more efficient given their comfort with the latest polling place technologies. Student judges were mobilized throughout the City of Chicago and were sent to understaffed precincts. These findings speak to the value of the Student Leaders in Elections program and the need to sustain and grow it further. It goes without saying that the students themselves benefit for serving as vital cogs in the machinery of our democracy, and they are actually compensated for their efforts. Here’s hoping that programs like Chicago’s attract continued and new sources of public and private funding, and that the findings of the Chicago Lawyers’ Committee inform their development. In 1993, Cantigny became one of the earliest golf courses in the United States to earn the prestigious classification of “Certified Audubon Cooperative Sanctuary”. 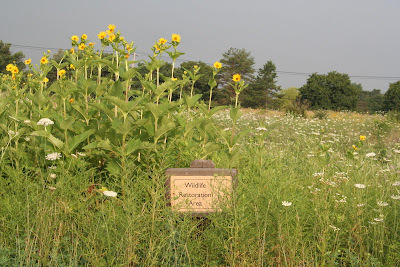 To reach certification, property owners and managers demonstrate a high degree of environmental excellence in: Environmental Planning, Wildlife & Habitat Management, Outreach and Education, Chemical Use Reduction and Safety, Water Conservation, and Water Quality Management. In recent years, Cantigny Park and Cantigny Golf have joined forces to maintain the Robert R. McCormick Estate’s Certified Audubon Cooperative Sanctuary status. In doing so, Cantigny joins over 3,000 properties including golf courses, cemeteries, ski areas, housing developments, hotels, and communities in the rigorous certification program. Through education, technical assistance, certification, and recognition, Audubon International facilitates the implementation of environmental management practices that ensure natural resources are sustainably used and conserved. Environmental efforts put forth by Cantigny staff and volunteers provide a tremendous value to our surrounding community. Just a few of the programs generated from the program include: Wildlife Habitat Restoration in native prairies and woodlands, Bluebird Nest Box Monitoring, starting a Purple Martin Colony, recycling drums for Rain Barrel sales, The Bee Barometer Project, and several outreach and education events to showcase golf’s environmental opportunities. 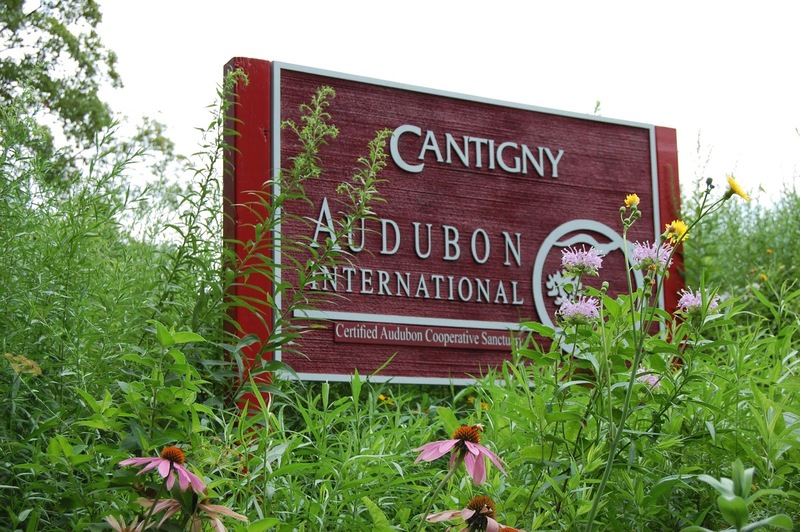 While actively engaged in the Audubon Cooperative Sanctuary Program, Cantigny has incorporated the use of safer pesticides and fertilizers with extremely low toxicity levels. An effort to minimize inputs wherever possible is common place at Cantigny. The overall effect is responsible land management on the cutting edge of technology, sensibility, and sustainability. I’m thrilled to report that House Bill 4025 was signed by Governor Rauner on August 21, 2015, requiring a high school civics course for incoming freshmen beginning with the 2016-17 school year. The Illinois Civic Mission Coalition, convened by the Robert R. McCormick Foundation, is currently developing a course implementation plan centering on extensive teacher professional development opportunities throughout Illinois. These opportunities will be designed to address required course content and pedagogies, and account for local needs. 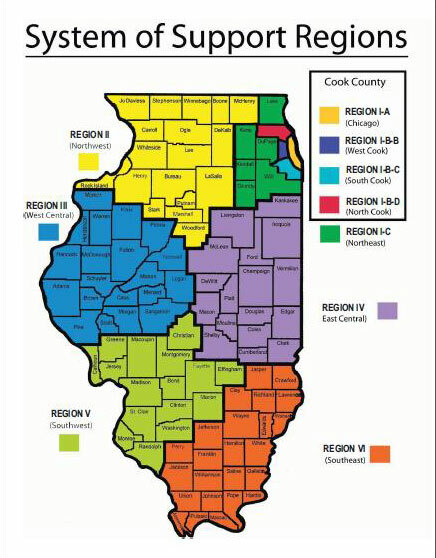 With this in mind, we designed a survey for high school social studies teachers in each of Illinois’ six regions (click here to access a document that correlates Illinois educational regions by county). It is intended to measure the extent to which best practices in civics are currently integrated into their classes, along with their content knowledge and pedagogical needs as they develop new civics courses or adapt current courses. We request your help in sharing the following links with social studies teachers in your network. The links are live and will remain open through the end of next month, Wednesday, September 30, 2015. Once the data collection process concludes we will share detailed reports with you as to the prevalence of proven civic learning practices at high schools in each region and statewide. This data will help us co-create professional development opportunities beginning next year responsive to the needs of local teachers, schools, and districts. Thanks in advance for your partnership in our collective effort to bring civics back to Illinois high schools. The Governor and Illinois General Assembly have a deadline set by the state constitution to pass a budget by the end of the legislative session in May of each year. To date, they have not passed a budget. As the Illinois state budget impasse drags into the summer, families have already started experiencing major hardships due to new program restrictions and unresolved government contracts that have compromised essential child and family supports in health and human services. More specifically, families who rely on the Child Care Assistance Program (CCAP) and the Early Intervention (EI) program to support their children’s educational development and family well-being have already been denied services due to new eligibility rules designed to cut services or are just not receiving services because the absence of a state budget has forced programs to shut down. One of the biggest changes to CCAP is that the state is now restricting eligibility for new families to four priority populations - families on Temporary Assistance for Needy Families (TANF), children with special needs, families earning below 50% of the federal poverty level, or teen parents. Illinois Action for Children estimates that only about 10% of the current CCAP families fall within one of the priority populations. This means we expect that approximately 90% of new CCAP applicants – who otherwise meet the state’s income threshold and work requirements – will be denied child care services. They also estimate that approximately 2,000 new families have already been denied since July 1, 2015. Since early childhood programs rely on blended funding models in order to offer high-quality care and education, the families who have been denied also may not be able to access early learning opportunities through Preschool for All and Head Start. Families seeking EI services are having an increasingly hard time accessing Child Family Connections (CFC) Offices in their area, the entry point for receiving any EI services. CFCs manage and coordinate all aspects of the EI program for families and children from birth to age three. According to the Children’s Medical Legal Partnership, three Child and Family Connections Offices closed on July 1, 2015, and they are expecting that more CFCs will have to close their doors due to a non-existent budget and lack of funding. Moreover, individual providers such as speech, developmental, occupational, and physical therapists, are not being fully paid for the EI services they should be providing to families and very young children at-risk for long term developmental delays. A recent court ruling forces the state to reimburse providers for EI evaluation services through Medicaid starting on July 1, 2015. However, the ruling only applies to providers in Cook County and CFCs across the state are still at risk for closures since most of their costs are not reimbursed by Medicaid. I am deeply concerned about the short and long-term effects of a budget that restricts access to critical human services including, but not limited to, EI, health and mental health, housing supports, child welfare, mentoring, CCAP and other workforce supports. Call on Governor Rauner, Speaker Madigan and members of the Illinois General Assembly to advance a Fiscal Year 2016 budget that provides adequate funding for early childhood programs like EI and CCAP so that all children have the opportunity to reach their full potential. Thanks to a grant from the Robert R. McCormick Foundation, visitors to the Chicago History Museum (CHM) will now get a chance to step into the newly renovated, state-of-the-art Robert R. McCormick Theater, which was designed in keeping of the historical style of the original auditorium. 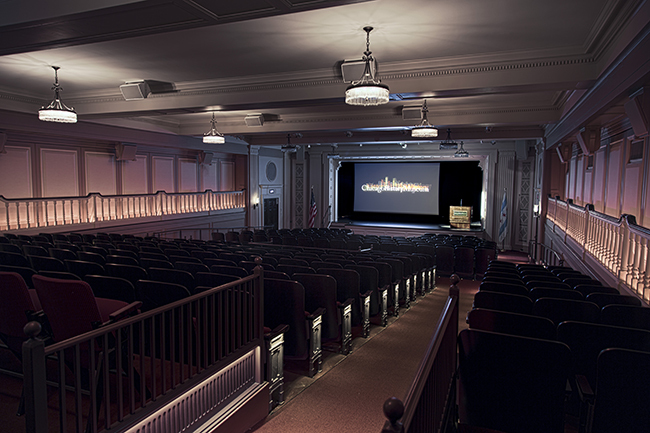 The theater features a dynamic new film presentation entitled “The Great Chicago Adventure” that transports visitors through major events in Chicago’s history. Feel the intensity of the Great Chicago Fire and splendor of the World’s Columbian Exposition. Explore the sights of bustling Maxwell Street in the 1950s and peer down from an I-beam of the Sears Tower in the 1970s. Relive Chicago sports victories and cheer on President Obama during his Grant Park victory speech. New audio, lighting, and video equipment bring the theater’s technology to the cutting edge of the 21st Century, led by the installation of a 4K digital projector and supporting playback devices. Most commercial cinemas with digital capabilities operate 2K projectors. Only a small number of Chicago cinemas currently have 4K projectors, which double the number of pixels across the screen for ultra-realistic high definition imaging. CHM’s new 4K projector will also output at 22,500 lumens, an impressive cinematic level. On Saturday, July 4, leadership from the Museum along with its closest friends and supporters gathered for the theater’s dedication and the official inaugural screening of the film. The film runs 27 minutes; admittance is free with Museum admission. 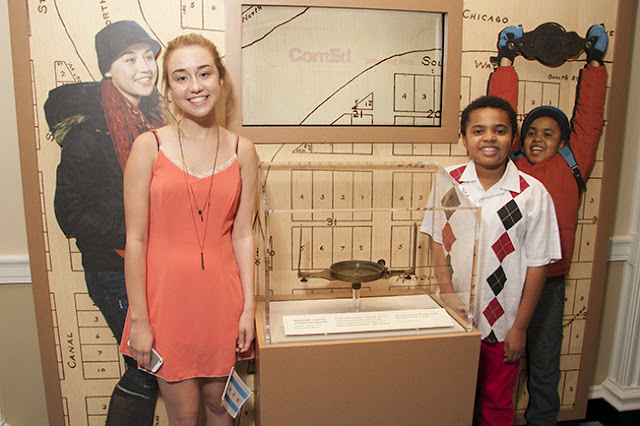 Ellie Danisch and Othel Owen, stars of "The Great Chicago Adventure". Meg Leonard, a clinician with Easter Seals Metropolitan Chicago, discusses how the 2016 state budget cuts will significantly impact Illinois’ Early Intervention (EI) program that assists infants and toddlers, birth to three, with diagnosed disabilities, developmental delays or substantial risk of significant delays. The proposed state budget would cut $23 million from EI services statewide. Additionally, there is talk about increasing the definition of a developmental delay from 30% to 50%, which would deny thousands of children services in Illinois. Only three states, Arizona, Alaska and Missouri, have implemented such a restrictive definition of eligibility for EI. Illinois provides EI services to approximately 20,000 infants and toddlers, about 3.5% of all birth to three year olds. Research indicates as many as 13% of birth to three year olds have delays that make them eligible for EI. Restricting eligibility for EI to children who exhibit at least a 50% developmental delay will create a huge increase of children who need more intensive and costly services when they enter preschool and kindergarten. Children with mild and moderate delays (30-40% delay) make the most significant gains in EI. Nearly half of children leave EI functioning at age level and do not need special education at kindergarten age. EI services are 2 ½ times less costly than special education services in preschool and elementary years. Sign the petition to let our elected leaders know how much EI means to you. Help inform other Illinois residents by sending a letter to your local newspaper. As our nation honors our returning Veterans we must not forget those who served valiantly by their side. During my tours in Iraq and Afghanistan I had the honor of working with some of the bravest men and women I have ever known. While our interpreters did not wear our uniform they became an integral and indispensable part of our team. Like many of my fellow Veterans, I cannot express the loss that I felt when two of my interpreters where killed in the line of duty. These translators worked alongside us in combat and saved our lives multiple times through their critical role in intelligence gathering, troop education, and cultural competence. Today, branded as traitors by the Taliban and groups like ISIS, the lives of local translators and their families are at constant risk. To help these individuals, the U.S. government established a Special Immigrant Visa (SIV). This program is designed to grant citizenship to Afghan or Iraqi translators, and their families, who worked with the U.S. military over the last decade. However, many of these individuals will never make it to the States. Obtaining these visas is long, exuberant, and ultimately ineffective process as the majority of these translators remain in refugee camps for years without visas. In June, The Chicago Council on Global Affairs, in partnership with the Robert R. McCormick Foundation hosted a program Lost in Translation: The War on Terror’s Forgotten Interpreters, to raise awareness about this important issue. Held in the Pritzker Military Museum and Library, the program included a lively panel discussion with topic experts on how not fulfilling our obligations will impact future American security and what can be done to bring these individuals home. Panelists included: Becca Heller, Director and Co-founder of the Iraqi Refugee Assistance Project, Erik Malmstrom, Former Infantry Officer of the United States Army and Business Development Manager for Cargill, Khalilullah Farshad Yewazi, a former interpreter of the United States Army, and Craig Bennett, Vice President and Associate General Counsel at Recycled Energy Development, LLC. Contact your state legislators to let them know you support the 3,000 additional visas for Afghan interpreters currently included in this year's National Defense Authorization Act. Visit the Iraqi Refugee Assistance Project website and sign-up to get updates on legislative efforts. Share this blog with friends and family. On May 12 a special event at the Red Cross National Headquarters in Washington, D.C. marked the first year anniversary of the Philanthropy – Joining Forces Impact Pledge supporting veterans and military families. The Impact Pledge consists of more than 160 grant-makers, non-profits, policymakers and service providers banding together to help veterans successfully reintegrate to civilian life. The first anniversary marks an important milestone in an ongoing effort to build the philanthropic sector’s commitment to providing vital services to veterans and their families. This year, we expanded our efforts by raising more than $106 million in new commitments. This is in addition to the $170 million that was raised in 2014. It has been very rewarding to help this initiative grow. The McCormick Foundation has been a leader in this effort since the inception several months ago, and we are proud to continue working with colleagues around the country to help our warriors return home. To advance this collective work, the Council on Foundations created the Veterans Philanthropy Exchange to provide a platform for funders to share best practices, identify and address emerging needs, leverage resources and investments for maximum benefit, and grow collaborations. By doing so, we can simultaneously support vital partnerships enabling funders, operating nonprofits, and policy makers to identify and fill gaps in resources and opportunities and to provide innovative solutions for our veterans. Civics legislation—HB 4025—requiring that Illinois students take a civics course to graduate from high school, was delivered to Governor Rauner on Thursday, June 25. The Governor has 60 days from the day he received the bill to sign it into law. On May 30, the Illinois Senate approved HB 4025 with strong bi-partisan support. 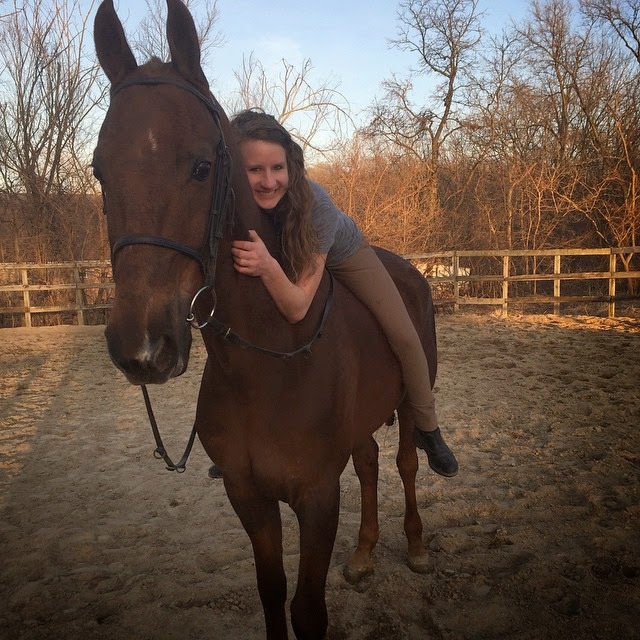 The bill previously passed the House, and now goes to Governor Rauner for signature. Representative Deb Conroy (D-Villa Park) and Senator Tom Cullerton (D-Villa Park) championed the legislation in their respective chambers. Illinois is one of only eleven states that does not have a civic education graduation requirement. As a result, “Many students graduate without even basic knowledge of current events and how to become active members of their communities,” said Rep. Conroy. The proposed legislation will help fill this civic empowerment gap, and bring civics back to all our schools. "Good government is a result of public officials and residents working together to make informed decisions,” said Sen. Cullerton. “We need to ensure our young people know how government works to make sure government is working for them." 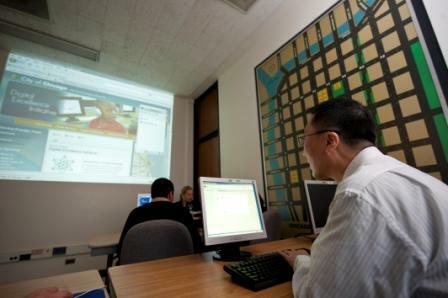 To help with implementation of the civics course, the McCormick Foundation, Chicago Community Trust, and other leading business and civic organizations from around the state, have pledged at least $1 million annually for three years to address professional development needs for teacher training throughout Illinois. The Robert R. McCormick Foundation is marking 60 years by inviting visitors for a special day at Cantigny Park on Thursday, July 30. Annually celebrated as the birthday of Col. Robert R. McCormick, the day will offer guests extra special experiences including behind-the-scenes tours, and a free evening concert by the renowned Chicago Sinfonietta. As McCormick’s former home located in west suburban Wheaton, Cantigny enriches our community every day and is enjoyed by more than 350,000 visitors each year. On July 30, visitors will get a special glimpse of everything Cantigny has to offer: including the formal gardens, the walking trails, the McCormick Museum and the First Division Museum, dedicated to the history of the Big Red One, the famed 1st Infantry Division of the U.S. Army. There will be activities throughout the day that the whole family can enjoy including performances from Miss Jamie & The Farmhands (2 pm) and Barefoot Hawaiian (5:30 pm), a vintage baseball game, living history performances, remote control plane demos and much more. The celebration will be capped off with a performance with Maestro Mei-Ann Chen and the Chicago Sinfonietta (7:30 pm). Music performed in front of the First Division Museum will include Saibei Dance, Carmen Fantasy and Tchaikovsky Symphony No. 4, along with some surprises tailored to the festive occasion. Whether you join us on this particular day or any other, you’ll enjoy every moment you spend at Cantigny. Admission is free. For a complete list of events on July 30th visit Cantigny.org. Civic Education Bill Update: On May 12, 2015, HB 4025 was approved 11-2 by the Senate Committee on Education with strong bi-partisan support. Civics advocates around the state were critical in propelling the vote. The bill will now go before the full Senate for a vote, likely within the next two weeks. The legislative session is crowded, but not so crowded that we cannot make provision for educating our next generation of citizens. Together we are bringing civics back to Illinois schools. HB 4025, legislation ensure that every student in Illinois graduates high school prepared for civic life, is back before the Senate Education Committee tomorrow. We need your immediate help in filing electronic witness slips once more. Recall that last week we filed 218 slips to our opponents' fourteen. Can we meet or surpass this margin in the next 24 hours? Before 1pm tomorrow, Tuesday May 12, please go online and file a digital “appearance” as a proponent for this important legislation. This process will take you fewer than five minutes. Merely follow the instructions below. At the end of April 2015, the bill passed in the Illinois House of Representatives with an overwhelming bi-partisan vote of 81-29. Now we need your help passing it through the senate. You are part of a historic movement to strengthen the civic mission of Illinois schools. We stand on the cusp of transformational change, and our supporters must now demonstrate the civic engagement we seek to foster in our youth. Thank you for your timely attention to this critical legislative advocacy. Together, we are bringing civics back to our schools. Chicago’s political groundhog woke up to see its shadow giving us six more weeks of campaigning. The race for mayor, and alderman in a surprising 19 wards, will now be decided on April 7. This is the first time the city will see a runoff race for mayor since non-partisan elections commenced in 1999. A sad fact of this election is that a paltry 34% of the Chicago-electorate turned out to vote. One wonders how, given the challenges faced by this city, so few people voted. The city is awash in red; both ink and blood. Is there a relationship between low voter turnout and the sorry state of our finances, schools and levels of crime and violence? I think there is. Is there a relationship between how this campaign was run and the embarrassing level of voter turnout? I think there is. Chicago’s voters and elected officials are responsible for the current state of affairs. Elections are fundamental to our system of government. Voting is the easiest act of citizenship we have. With early voting and the recent addition of Election Day registration it’s getting even easier. Elections are times when candidates should put their ideas on the table and engage in vigorous debate. There was far too little of this in the lead-up to yesterday’s election. Our candidates did a poor job of engaging the electorate and the voters responded by staying home. Low voter turnout is a simple measure of our civic health. Are people informed and engaged? Are our elected officials responsive and deserving of our respect? Are citizens discussing important issues, contacting their elected officials and volunteering? Are our institutions transparent and responsive? Some are, but far too many in this city are not. In a democracy, these things make a difference. The runoff races are an opportunity for the city to change this dynamic. With a focused head-to-head race for mayor, Chicagoans will hopefully be given a substantive debate on the issues. Will we listen to this debate? Participate in it? Will we turn out in greater numbers to vote? And even more importantly, will we actively join with our mayor (Rahm or Chuy) and aldermen and hold one another accountable as we try to revitalize this great city? For our sake, I hope so. We have all read the dismal statistics that urban public school districts across the county report that the 4-year college degree attainment rate is 38 percent. For African-American male students, that rate is a staggering 23 percent nationwide (Consortium on Chicago School Research, 2014). There is clearly work to be done. I am very passionate about making college a reality for all students. This issue impacts me on both a professional and personal level. 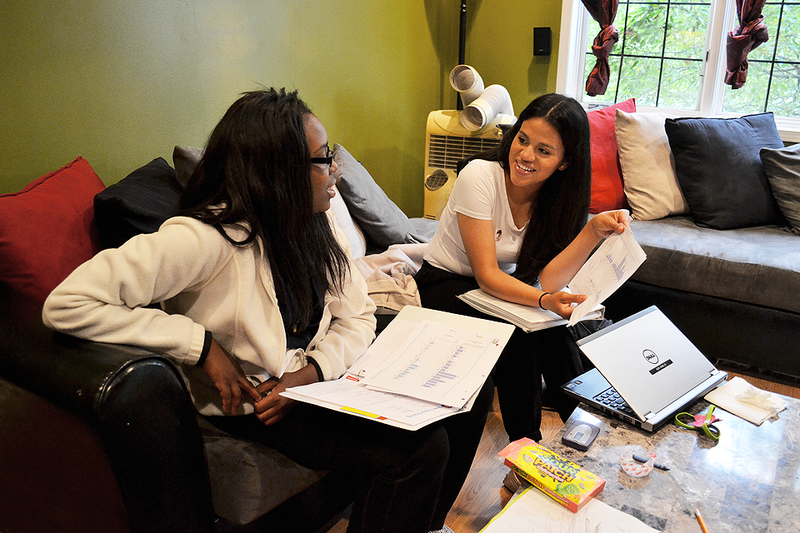 My role as a program officer at the McCormick Foundation allows me to work with a variety of organizations that prepare students from low-income communities to make successful transitions to college and provide them the support they need to earn a degree. As a mother of three (10, 7 and, 5), my husband and I are determined to build a college- bound culture within our home. Even more acutely, I am helping my 21 year-old nephew navigate the rocky terrain of young adulthood. He is a young man who has the capacity to elevate the mood of a room simply by being in it. He graduated high school with strong grades, an average ACT score and the potential to graduate with his Bachelor’s degree in four years. 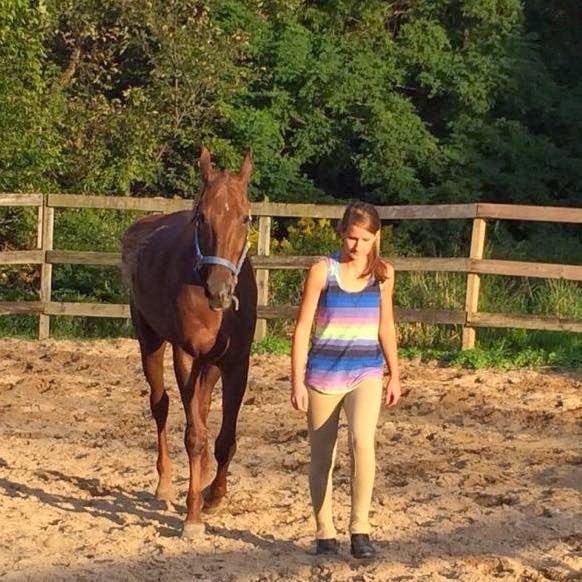 In the fall, following his senior year of high school, my nephew enrolled at the local University in his home town, took on a small course load of remedial classes and eventually dropped out toward the end of first semester. What happened to dim the dreams of this shining star? The sheer lack of support. Research suggests that low-income students, particularly first generation college-bound youth require a menu of comprehensive support services while still in high school in order to make a successful college transition. While my nephew benefitted from a high school college counselor, he lacked the support he needed once he found himself in a culture not inherent to his own. Research also suggests students benefit from programs that develop a “college-going” culture by providing comprehensive support service from junior year through college graduation. Thankfully there are wonderful programs out there that provide these ongoing services to students and their families. Organizations such as OneGoal, One Million Degrees, Chicago Scholars and The Resurrection Project are just a handful of programs that provide on-campus coaches, financial literacy, professional skill development and connections to on-campus social support networks. Socioeconomic background should not be a factor in who gains access to a college degree. It is imperative that we effectively respond to the needs of low-income students as they make their way toward a bright future. Veterans from all eras face a unique set of opportunities and challenges when transitioning from military service back to civilian life. When servicemembers return to their communities, it is often challenging and overwhelming to navigate the various services and matching them to their own needs. Faith is a natural place for people to turn to in times of need. It is this pre-existing infrastructure that has prompted the faith-based and the social service communities to come together to help veterans and their families. In fall 2014, faith-based leaders, mental health practitioners, veteran service providers, pastoral care practitioners and other interested parties came together to launch the Multi-Faith Veterans Support Project (MVP), a new effort to pilot projects that will enhance the quality of life for veterans and their families. 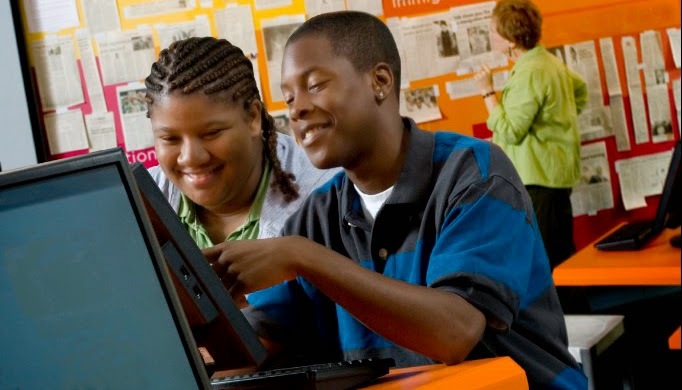 The Steans Center's Egan Office for Urban Education and Community Partnerships at DePaul University is collaborating with the Robert R. McCormick Foundation to support the initiative. 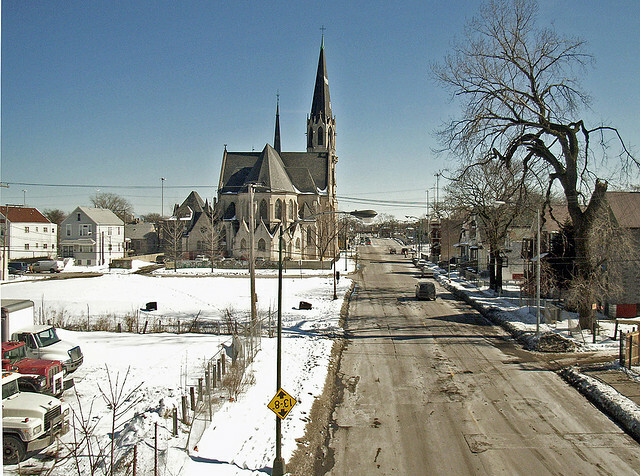 Since the launch of MVP, Apostolic Church of God in the Woodlawn neighborhood and the Arthur Lockhart Resource Institute in the Austin neighborhood have been identified as the first two partner communities. Integrate the faith-based community with the local networks of social service providers to strengthen community coordination around veterans and veteran family issues. Develop a spiritual care curriculum that equips and trains faith leaders to understand and address the needs of veterans and their families such as moral injury and post-traumatic stress disorder. Raise awareness about faith-based resources available to veterans. MVP will work with four partner communities in Chicago, geographically defined, to employ this strategic approach. The effort seeks to honor religious diversity while strengthening relationships across faith communities, behavioral health and veterans. To learn more about the Multi-Faith Veteran Support Project and its progress follow MVP on Facebook and Twitter. Robert R. McCormick was one of Chicago’s first major philanthropists, with his generosity helping to shape the city he loved. 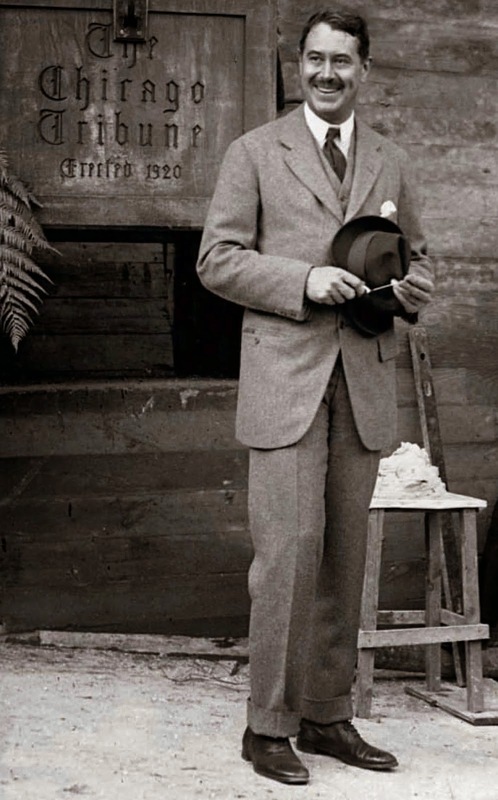 In 2015, the Foundation that bears his name will mark the 60th anniversary of its establishment. Over that time, the McCormick Foundation has touched the lives of thousands of people, contributing more than one billion dollars to journalism, education, community action, social and economic services and civic engagement. The McCormick Foundation is marking the year with special partnerships and events for the communities in and around Chicago. Also celebrating 60 years of its commitment to Chicago is WTTW/Channel 11. Through special support of their premiere news program Chicago Tonight, regular pledge drives, and special community screenings, the Foundation will help trumpet the tremendous value that the station has added to our lives since its first broadcast. Through an enhanced partnership with the Donors Forum, the McCormick Foundation will assist in the convening of the non-profit community for conversations throughout the year on government reform, civic engagement and economic mobility. As the premier resource for networking and education, information and knowledge, and leadership and advocacy on behalf of philanthropy and non-profits in Illinois, the Donors Forum is uniquely poised to help the Foundation build momentum around these topics. 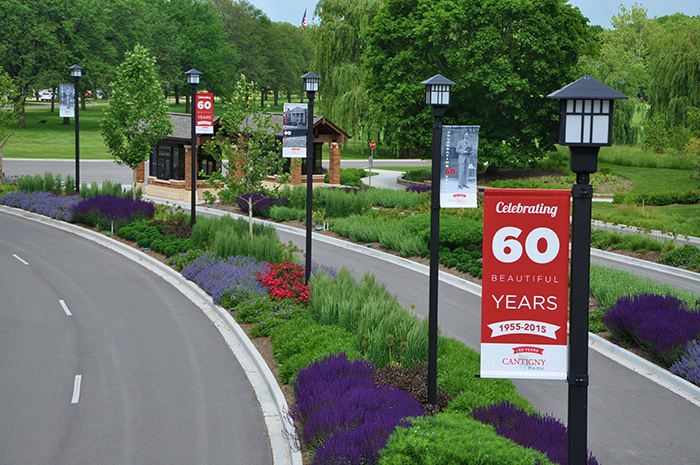 On Thursday, July 30, we invite you to spend a day at Cantigny Park for our 60th Anniversary Celebration. As McCormick’s former retreat located in west suburban Wheaton, Cantigny enriches our community every day and is enjoyed by more than 350,000 visitors each year. Visitors that day will get a special glimpse behind the scenes of everything Cantigny has to offer: from the formal gardens and walking trails to the Robert R. McCormick Museum; from the amazing fairways of Cantigny Golf to the First Division Museum, dedicated to the history of the Big Red One, the famed 1st Infantry Division of the U.S. Army. Whether you join us on this particular day or any other, you’ll enjoy every moment you spend at Cantigny. Much more will be planned and announced in the coming months. Watch Insights, visit McCormickFoundation.org for follow us on Facebook and Twitter for additional information. When he laid out his education priorities for the next four years, Mayor Emanuel made it clear that while Chicago has made great strides in its educational outcomes, we still have a long way to go. The Mayor plans to expand high-quality education choices at neighborhood schools throughout the city and empower parents and school leaders to improve their local schools. However, he won’t be able to achieve these outcomes alone. As he said, he’ll need to harness the combined might of parents, teachers, and principals. And in addition, he will need to tap the collective power of non-profits and community groups that support Chicago’s young people every day. Previously incubated in the Mayor’s Office and now launching as a community-led, independent organization, Thrive Chicago is bringing together more than 200 organizations across multiple sectors, agreeing on common outcomes of focus, and uniting efforts spanning the entire continuum from cradle to career that results in citywide alignment to benefit all children. Thrive Chicago’s partners are divided into Change Networks that focus on specific outcomes along a child’s trajectory: from kindergarten readiness, to helping youth who have dropped out of high school complete their degrees, all the way to employment at living wages. For example, research shows that participating in early learning activities sets the groundwork for a child’s educational success. Parents across Chicago want their kids enrolled in high-quality early education programs. Organizations working together in Thrive Chicago are collaborating on an education and outreach campaign to make sure parents access the services available for their children. Similarly, we know that completing college is tantamount to a young person’s future earning potential. Yet, children from low-income backgrounds who enroll in college are more likely to drop out than complete their degrees. To ensure young people receive the highest-quality guidance – and have the best possible chance to succeed in college – Thrive Chicago is now collaborating to develop a citywide college advising credential that will provide training to college advisers, a group otherwise left without a training regimen. Through Thrive, it is our hope that we are all working toward common goals that will enable our children to not only survive, but to succeed. The Robert R. McCormick Foundation has stepped up to serve as host and fiscal sponsor for Thrive Chicago.